Here in the States, when I think of the major places of learning, I think of Harvard and Oxford. Even though, with Oxford, I also think of a Laurel & Hardy movie called 'A Chump at Oxford'. 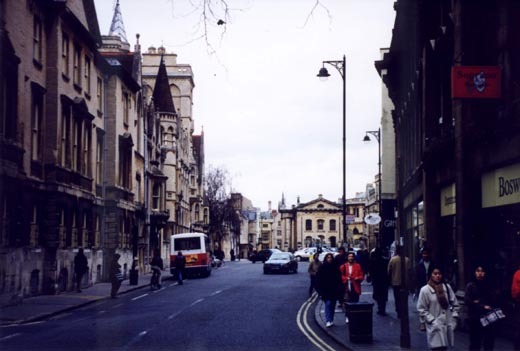 At any rate this is a street scene near the colleges at Oxford. The day was cool and damp. So, to me, it seemed like a perfect day.